Uncategorized Archives - Huggins Actuarial Services, Inc.
Loss Reserves are generally the largest liability listed on an insurance company’s balance sheet. Loss Reserves are amounts set aside to pay for all claims that have already occurred, whether reported or not, that the company is obligated to pay in the future. In the past, a high percentage of property/casualty insurance company insolvencies have been due to the inadequacy of these reserves. For that reason and others, each state now requires that there be an attestation, i.e. opinion, by a qualified professional, as to the reasonableness of these reserves. Make a reasonable provision in the aggregate for all unpaid loss and loss adjustment expense obligations of the Company under the terms of its contracts and agreements. The first two items are rarely an issue: it is the third point that is usually the reason for the question. If the booked loss and loss expense reserves equal the actuary’s reserve estimate or fall within a certain range of that estimate, the actuary can say that the booked reserves make a reasonable provision for the reserve liability and can issue a “clean” opinion. A qualified opinion – This happens when, in the actuary’s opinion, the reserves for a certain item or items are in question because they cannot be reasonably estimated, or the actuary is unable to render an opinion on those items. Note: if there is some sort of loss for which the actuary has no means of determining the ultimate value, but the perceived value is not material, the opinion can still be a “clean” one. A Deficient or Inadequate Provision. This is the one you do not want to see. When the carried reserve amount is less than the minimum amount that the actuary believes is reasonable, the actuary will issue a Statement of Actuarial Opinion that the carried reserve amount does not make a reasonable provision for the liabilities associated with the specified reserves. A Redundant or Excessive Provision. These are very rare. When the carried reserve amount is greater than the maximum amount that the actuary believes is reasonable, the actuary issues a redundant opinion. A No Opinion is another rare rendering. The actuary’s ability to give an opinion is dependent upon data, analyses, assumptions, and related information that are sufficient to support a conclusion. If the actuary cannot reach a conclusion due to deficiencies or limitations in the data, analyses, assumptions, or related information, then the actuary may issue a statement of no opinion. A statement of no opinion should include a description of the reasons why no opinion could be given. Some selected sections of the SAO are also of importance. Is there a risk of a material deviation (i.e. change) from the loss and loss expense reserves booked? What is the source of such a deviation(s)? If the actuary indicates there is one or more items that are a potential source of risk of material deviation, it might or might not be a cause for concern by the reader. The absence of a risk of material adverse deviation does not imply that additional factors will not be identified in the future as having a significant influence on the company’s reserves; it is a statement concerning a point in time. While the interest in Asbestos Exposures and Environmental Exposures has waned in recent years, they still can represent a significant exposure to the company. They are addressed in the section bearing that as a title. Most companies do not write policies with durations over thirteen months, but the section titled Disclosure of Unearned Premium Reserves for Long Duration Contracts will provide information to that effect. The Reinsurance Collectability section provides information about the likelihood of the company’s ability to collect on its reinsurance. While the actuary’s comments do not imply an opinion as to the financial stability of any of the reinsurers, it should include information from management regarding any collectability problems the company has encountered with its reinsurers. 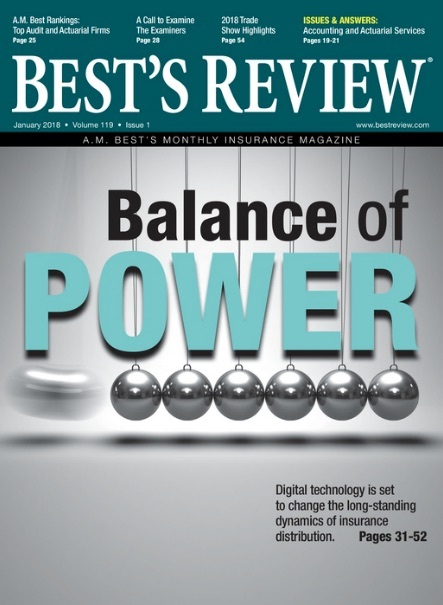 The actuary usually uses publicly available information as well as the reinsurers’ ratings, provided by a rating agency, as a reason for whatever conclusion he/she reaches on this topic. The section on “NAIC IRIS Tests” requires a little explaining. The National Association of Insurance Commissioners (NAIC) has a series of mathematical formulae that are applied to various Annual Statement entries. Of the thirteen formulae, the last three, tests 11, 12 and 13, concern the booked loss and loss expense reserves. The actuary is required to look at these tests and comment on any that fall outside the range of acceptance: i.e. they “fail” the test. If the company fails any of these tests, the actuary will provide a narrative as to whether or not their failure is important. You can get more detailed information at http://www.naic.org/prod_serv/UIR-ZB-16_UIR_2016.pdf. The final pages are the signature page and some exhibits providing selected values. 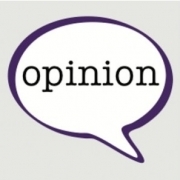 Is the opinion an unqualified (i.e. a “Clean”) one or not? How financially large does something have to be in order to be a material risk to the finances of the company, in the actuary’s opinion, and are there any such risks? Did the company fail any IRIS Tests? And if so, why? 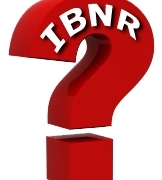 “What is IBNR” is likely the most asked question of actuaries at a Board of Directors meeting. Huggins’ actuaries often are asked the question, so we decided to put together this short, printable explanation. Even if you already understand IBNR, this short narrative might enable you to save some time. Feel free to share it with others, including your Board of Directors. Like most companies, insurance companies are required to hold liabilities on their books for the unpaid costs of claims that have occurred as of the accounting date. Unlike other companies, there are claims that have not been finalized, and some claims that have not even been presented to the company. Statutory accounting requires the insurer reflect the amount the insurer expects to pay for losses incurred but not yet reported or reported claims that have not yet been paid as of the accounting date. Because an ultimate value of the claim and claim expenses liabilities cannot be precisely determined in advance, the provisions for them at any balance sheet date is usually estimated or tested using actuarial and statistical techniques. Usually, most of the claims reserve is in the form of claims adjuster estimates. The total of all the claim adjusters’ reserves is referred to as the case reserve. But as of the accounting date, not all the information regarding all the claims has been presented to the claim adjusters. There needs to be an estimate of the value of the cost of the “unknown” information on claims being adjusted. Some call it “Incurred But Not Enough (information) Reported, or IBNER, to represent the cost of additional unknown information on known claims. For known outstanding claims, the IBNER can be calculated as the difference between the current case reserve and the estimate amount ultimately needed to settle the reported claims (provision for future development on known claims), including payments post closure for reopened claims. As of an accounting date, not all the claims have been presented to the insurance company. These “unknown” claims are still costs as of the accounting date, and need to be reflected. Some sources call this “Incurred But Not Yet Reported” claim costs, or IBNYR. For unreported claims, the IBNYR is sometimes separately calculated. Often, the IBNER and IBNYR amounts are calculated together, and are referred to combined as IBNR, which stands for “Incurred But Not Reported,” and refers to estimates of the both IBNER and IBNYR. As a group of claims age, more claims are settled and paid, more information becomes known, and more previously unreported claims are reported; thus, the need for IBNR diminishes. Therefore, the amount of IBNR for a given accident year generally decreases over time. The declines for all prior years are often more than compensated for by the IBNR needed for the new accident period, and thus overall IBNR increases. Overall, the yields for bonds and total returns for blue chips stocks and MLP equities increase over time, both as time-step increases and going from the 2016 economic scenarios to the 2018 economic scenarios, reflecting both increasing bond yields and increasing inflation. What do these increases in bond yields and total returns mean for an insurance company? The impact depends on the asset mix of the current portfolio and the result is likely to be mixed. Given that most property casualty companies invest heavily in bonds, the embedded bonds are likely to decrease in value as bonds are marked to market. The increase in bond yields for newly purchased bonds will offset this downward adjustment somewhat. The non-bond portion of the portfolio should have a larger contribution to the bottom line than in the recent past in both dividends and enhanced asset value. Overall, Huggins would expect to see increased investment returns, possibly returning to pre-recession levels. For two-year “A” rated corporate bonds, the yields increase from 1.66% for one-year time-step to 3.50% for five-year time-step for the 2016 economic scenarios, to 3.32% for one-year time-step to 4.29% for five-year time-step for the 2018 economic scenarios. For five-year “A” rated corporate bonds, the yields increase from 2.13% for one-year time-step to 3.97% for five-year time-step for the 2016 economic scenarios, to 3.59% for one-year time-step to 4.71% for five-year time-step for the 2018 economic scenarios. For ten-year “A” rated corporate bonds, the yields increase from 2.78% for one-year time-step to 4.53% for five-year time-step for the 2016 economic scenarios, to 4.02% for one-year time-step to 5.21% for five-year time-step for the 2018 economic scenarios. See the three tables below. For Blue Chip Stocks, the total returns increase from 5.04% for one-year time-step to 6.42% for five-year time-step for the 2016 economic scenarios, to 7.06% for one-year time-step to 8.02% for five-year time-step for the 2018 economic scenarios. See table below. For MLP Equities, the total returns increase from 9.46% for one-year time-step to 10.26% for five-year time-step for the 2016 economic scenarios, to 9.75% for one-year time-step to 11.02% for five-year time-step for the 2018 economic scenarios. See table below. For two-year Treasury bonds, the yields increase from 1.15% for one-year time-step to 2.89% for five-year time-step for the 2016 economic scenarios, to 2.69% for one-year time-step to 3.60% for five-year time-step for the 2018 economic scenarios. For five-year Treasury bonds, the yields increase from 1.50% for one-year time-step to 3.25% for five-year time-step for the 2016 economic scenarios, to 2.85% for one-year time-step to 3.92% for five-year time-step for the 2018 economic scenarios. For ten-year Treasury bonds, the yields increase from 1.94% for one-year time-step to 3.62% for five-year time-step for the 2016 economic scenarios, to 3.09% for one-year time-step to 4.23% for five-year time-step for the 2018 economic scenarios. See the three tables below.